Are there times when you think the fashion would certainly be my life? Bit of snobbish? 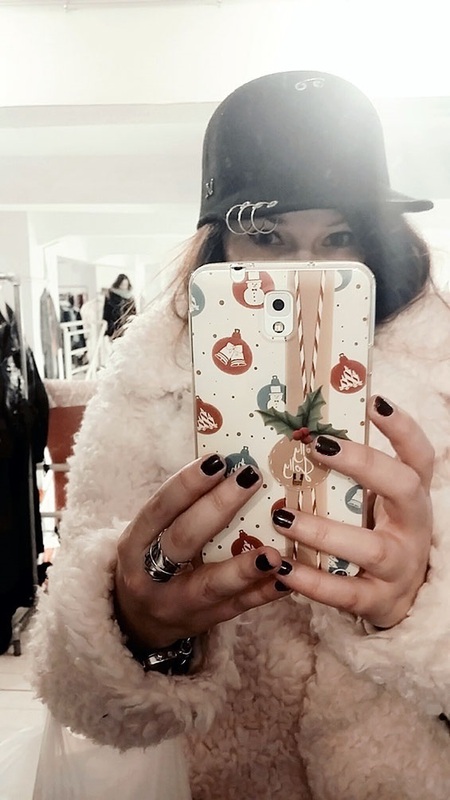 I will not lie, because I am fashion obsessed in a certain sense and I think my blog needs to convey that it is something what can give their tips... The fashion is a very good way of self expression, it tells what you like or who you are. Are you? I am a chameleon - I think - when you talk about your personal style. I must say, I'm really enjoying it, and I do not think there is a problem and I could not decide who I am that. Obviously my style seems ever-changing. Just hold on a few things - not quite minimal clothes and shoes are still to determine the whole cloth - yes absolutely dominant in my head. Actually, I wintry wardrobe is a lot of cashmere turtlenecks or plain sweaters (mostly gray but hardly wear pastel especially jackets). Breton tops, cashmere tops, leather things, pair of boyfriend jeans, casual dress coats, some unique accessories and finally the well-chosen headwear. Try to try! A lot of people think that fashion and beauty are my life too - they're always surprised to hear that I love the farm life, animals, and books!